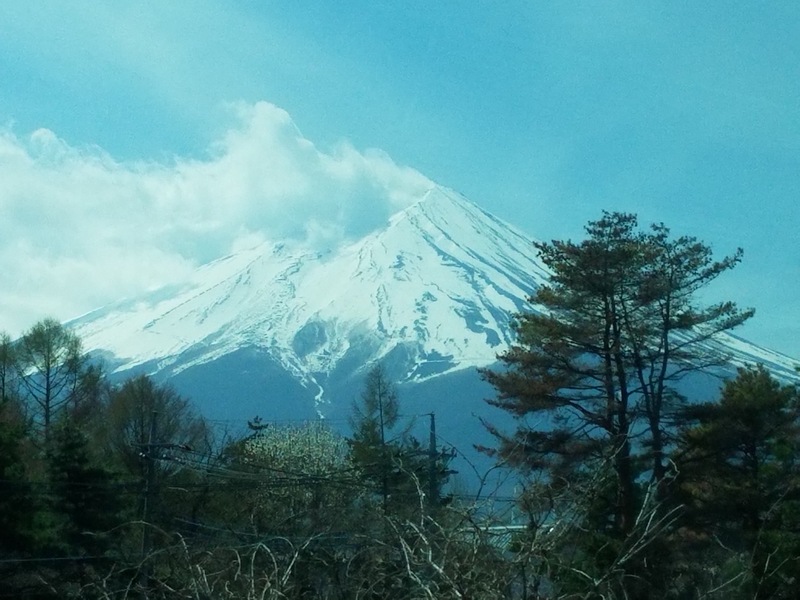 Kay Docken has longed dreamed of the day she would travel to Japan. Back when her two children were in school, she invited a Japanese foreign exchange student to stay with them. Since this experience, they have been intrigued by the Japanese culture and people. Back in April, Kay and her two kids, Hilary and Kurt, finally scheduled the trip. They spent two weeks in Japan: four days in Tokyo, four days in Kyoto, three days in Osaka, and three days in Hiroshima. 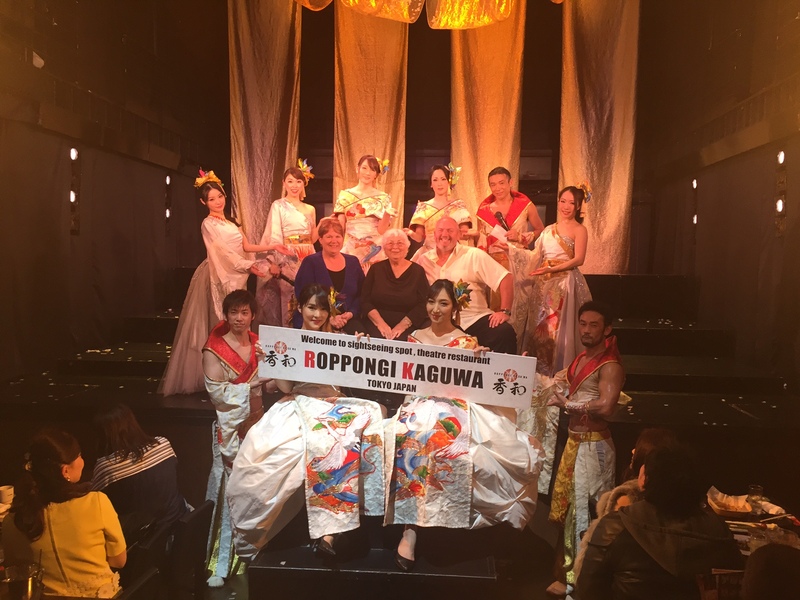 After a city tour, they attended a traditional Japanese show full of dramatic war scenes and ladies in beautiful kimonos. These shows are very physically demanding and the performers must be in great shape. One of the show’s perks was to climb up on stage and take a photograph with the performers. However, due to the skinny, yet steep stairs, Kay slipped. Luckily, with the help of Kurt and one of the performers, Kay was boosted on stage and was able to take a picture with the cast. She will be sure to cherish the photograph for years to come! The three took a tour of Mount Fuji. Starting off, it was a bit overcast. It’s often the mountain is obscured due to the weather. By the end of the tour though, the sun came out and the group was able to absorb the mountain’s majestic sight. The guide even offered to take them up the mountain. The guide was a retired Information Technology Specialist. They found it was rather common for tour guides to be retired. Kay discovered the hotel s in Japan are a little different from the ones in the United States. Many hotels do not provide a complimentary breakfast. Kay and her children quickly found that 7/11s were almost on every corner and sold a variety of prepared food! Among the choices were hot chicken, sandwiches, white bread (that stuck horribly to the roof of your mouth), steamed rice, sushi, spaghetti and meatballs, microwaveable meals, and desserts. In addition, the women’s bathrooms in hotels had a rather interesting feature. Once an individual sat down on a toilet seat, the seat would play a song. It seems that Japanese women find it a bit embarrassing to hear too much from the next cubicle! While arranging her itinerary for Kyoto, Kay signed up for origami and calligraphy classes. It is of great importance to the Japanese to preserve traditions and Kay wanted to experience some of the more traditional activities. 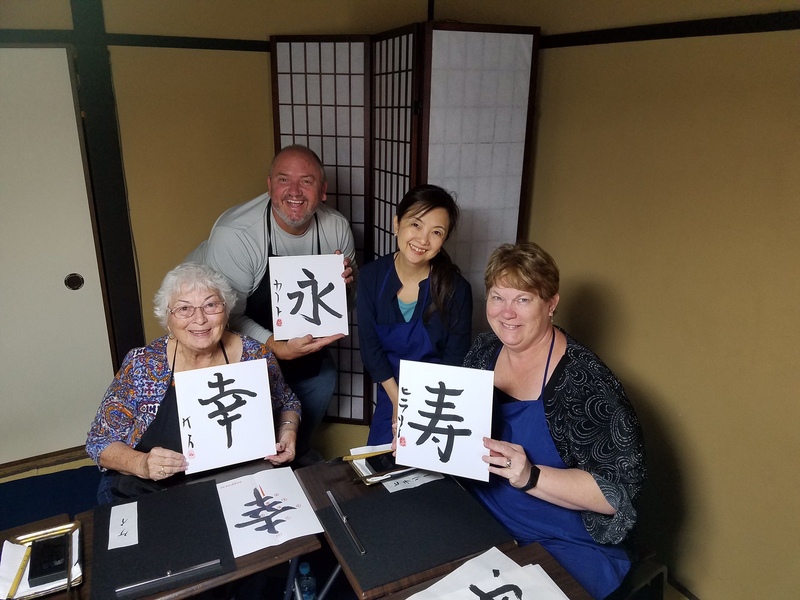 The classes were held in a small studio started by a middle-aged woman to teach traditional Japanese culture to others. Kay was, and still is, awed by the many female entrepreneurs present in Japan. While in Kyoto, Kay and her children also visited an art colony/market based solely on perpetuating Japanese traditions. Looming was among the common traditions. There were several different materials or items for sale that had been weaved from a loom. Kay brought back some of this special hand-made material with her. She is not yet sure what she will make out of it, but it is sure to be unique! Visiting Hiroshima was a sobering experience for Kay, Hilary, and Kurt. Much of the city was rebuilt due to the extent of destruction in World War II. On one such tour, Kay had a conversation with a tour guide whose husband had recently passed away. The women’s husband had been in Hiroshima when the city wasbombed, but had survived. She openly discussed how WWII had affected the city and the people. The tour guide also sharedthatas a young girl, she remembered her father stating the Japanese would not win the war since their leaders were insufficient at the time. Kay found that many Japanese were open to expressing their experiences and views on the war with her. The people of Japan live differently than Americans. That much is obvious. But what exactly is different? The use of mass transportation is one. There are less individually owned cars. Mostly, people rely on subways, buses, the JR (Japan Rail), and bullet trains. There are taxis, but be ready to be chauffeured! These taxi drivers wear suits and white gloves! The backseats of the cabs have crocheted covers and are very clean. Kay also reports that she was not aware of the number of people in Japan. For the quantity of people relative to the capacity available, there are quite a lot of people! However, everyone is polite and respectful. Kay was also amazed at how clean the cities were – she even had a difficult time finding a waste basket! There was green ery everywhere, and for the most part, people lived simply. Kay has a few suggestions for would-be travelers. First, aim to go in April. 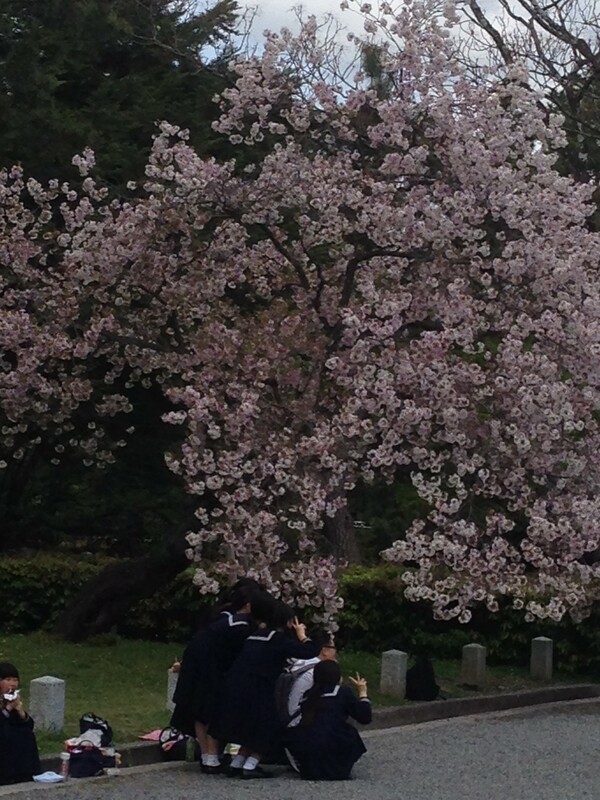 This is when the cherry blossoms are blooming - it’s a beautiful sight! Second, take a variety of clothing. Some days will rain, and others can be a bit warm. Lastly, when visiting, minimize your preconceived notions. Having an open mind allows one to experience and learn much more. Most of all though, Kay says to just enjoy the beauty of Japan!